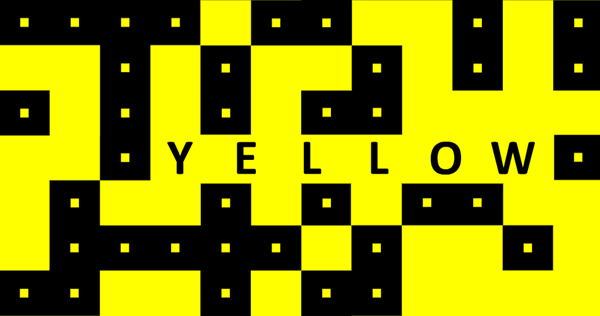 It's a fine day for a new bontegame, I'm proud to present my latest game 'yellow'! It's a free mobile puzzle game and it is indeed very yellow. The goal is to make the screen yellow in each of the 50 levels and each level of course has its own logic. The game is absolutely free, but it has one in-app purchase 'premium unlock' if you want to support my game making (It will also remove the ads you see when you ask for hints). You can watch a trailer for the game on youtube here. Great game. I have been following you site for years. You always find great games to share and make very fun games to play. Thanks a lot. Great game, finished it already! #49 is hard indeed but I'm not saying it should be easier. #13 was so obvious once I got the hint. I was focusing on the number 13 instead of the theme of the game. Great game. Looking forward to future games! If you are having problems with level 39 and the hints, you are not alone ;) That's why I just submitted an update of the app (v1.1) with better hints. Completed it with only 2 hints! Awesome game! Thanks Bart! Fun little game! And I like the music. It's very calm... dare I say, mellow? Thanks Bart, a genuine Bonte game! Lv.39 is really tricky...even u added better hints I am not getting it. So sad cuz I managed all level before with no hints. OHMYGOD, I did not recognise that u dont have to tap on the black balls what I tried all the time. @voodooschaaf Of course I don't mind :) Cheers! Bart, this was really fun to play, it will appear next tuesday (tuesday is gameday) on my blog. Thank u so much 4 providing us with ur creativity. Very nice game ! Unfortunately, level 50 doesn't seem to work on my phone. @Yannick Thanks! But what do you mean about level 50 not working? Very much stuck on level 21 and the hints are useless, and there are no walkthroughs available online yet. Any help Bart? good game and I'm glad it is free because after buying factory balls and no new levels after an update over a year ago I will not purchase another game. Im stuck at level 34. I've squeezed my brain enuf but cant solve it. The 3 hints aint helping. Please help!! Great game, but I had to quit for good on level 49. My memory just isn't up to the challenge of memorizing a 16-step sequence. Tried dozens of times, but I can't do it. Hi Bart, great game. What is the music called? Did you write it especially for this game? It's rare to have a piece of repetitive music in a game that you don't get sick of. I have played all levels with music on and still love the music. Very nicely done my friend! Not getting the spot in Level 31 .... I've tried a bunch of stuff - got a nearly yellow screen - any suggestions? For level 31 touch the screen and move your finger to find the spot where all the yellow bars align (so keep your finger on the screen!). Hint: move left/right until one bar fits perfectly, then move up/down and concentrate on the others yellow bars.